It is becoming increasingly difficult for companies and individuals to survive in today’s volatile and highly competitive global and domestic business environment. The only absolute in this environment is that radical innovation and change are inevitable. This new business order demands new ways of thinking, new ways of managing, and new ways of working. Thus, of utmost importance in this new order is the extent to which companies invest in their capacity to innovate and change (aligning with current and future realities) that is, making their human capital and business models “revolution-ready”. The Centre for Business Dynamics, under the banner of the Business School at the University of the Free State, will help you and your company stay competitive by bridging the gap between your existing skills and competencies and those required. We will make it our priority that you meet the challenges and opportunities presented, distinguish yourself from your competitors, and achieve higher performance. Our large portfolio of products and services, coupled with a network of national and international experts, enables us to offer tailormade, state-of-the-art organisational and personal development solutions. From customised executive education programmes, workshops and consultations, to strategy and leadership development — we have it all. Make the call today and start investing in your success and the fulfilment of your dreams. The HCert is aimed at developing employees, especially focused on the middle management group level, to enterprising and professional managers. Rules and regulations available on request. The duration of the programme is approximately 1 year. The HCert programme involves resource-based learning for adults. This means self-study with the aid of programme guides. Assessments include assignments and open-book examinations. A team of lecturers with vast experience in different fields of management, leadership, entrepreneurship, etc. present the Higher Certificate in Management Development in English. The programme fee is available on request and includes all study material. The closing date for registration is November for commencement the following year. Do note that the programme can be customised and offered on an in-house basis for companies across South Africa. After the successful completion of the programme, the student will receive a certificate (NQF level 5) issued and endorsed by the UFS. Recognition to the Bachelor of Management Leadership is available. 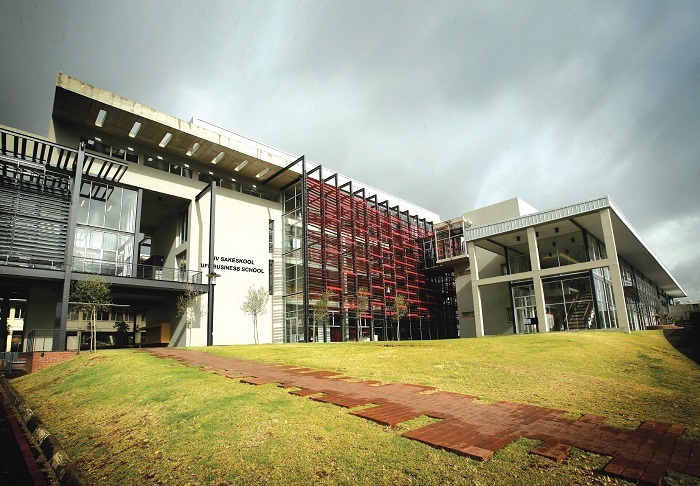 This programme forms part of a learning path offered to UFS Business School students and allows students, without a degree, to participate in management studies and eventually earn a management degree.